Cellist James Waldo leads a diverse, genre-defying career as a freelance chamber musician, presenter, and educator. Currently pursuing doctoral studies as a fully-funded University Graduate Fellow at University of Wisconsin-Madison, James is fortunate to have a place in the studio of his long-time mentor, the uniquely-gifted cellist and pedagogue Uri Vardi. In addition to strengthening his knowledge of classical music pedagogy, performance practices, theory, and history, James is taking the opportunity to study the theory, performance practices, and histories of jazz. Having spent the last ten years in Manhattan, James maintains a leadership role in the uptown community-building chamber music project he co-founded in 2013, called Listen Closely. As a New York Freelancer, James appeared regularly as principal cellist for Cecilia Chorus’ semi-annual concerts in Carnegie Hall, and is a regular guest soloist with the Chinese Ensemble of New York. Active also in the historical performance circuit, James is a founding member of the critically-acclaimed consort LeStrange Viols, and performs regularly on the Salon/Sanctuary concert series. James received a master of music degree as well as a professional studies diploma from Mannes College, where he studied as a merit scholarship student with renowned cellist Timothy Eddy of the Orion String Quartet. Coming from a musical family, James has always had a penchant for experimenting with different forms of music-making. But James’ first real encounters with improvising in public, a skill which has served him well on the classical stage as well as far afield in other arenas, began at age 18 when he met Dave Sewell, a life-time blues musician who busked nightly on State Street in Madison, WI. James and his classmate, Matt Pickart, began regularly joining Dave on the street to play for whoever would stop and listen, taking orders from Dave on the fly and slowly learning what it felt like to create music on the spot. This formational experience inspired many subsequent explorations outside the classical realm; James went on help found an orchestral folk ensemble called Spirits of the Red City, devoted to the original music of songwriter Will Garrison. James served as a principal orchestrator/part-writer and ensemble coach for the group, which included musicians from the Old Time/Roots, Jazz, Singer-Songwriter, and Classical traditions. The group actively toured from 2008-15, released two enthusiastically-received records and several 7inch EPs, and performed in prestigious venues such as the Boulder Theater, Daytrotter, and the Doe Bay Music Festival. This past May, James’ adventures in improvisatory music came full-circle when he and Matt Pickart found themselves taking the stage at Dizzy’s Club in Jazz at Lincoln Center, supporting Grammy-nominated pianist Robert Rodriguez for a special two-night run of Robert’s own Noche de Boleros. With all this love for so many types of music, the continuous challenge and creative problem is finding time to go deep on each one. As Tim Eddy advised, working in phases seems to be a good approach. While music is “all that and a bag of chips,” James enjoys few activities more than preparing breakfast and dinner every day for his beautiful wife Alyona and joyous little 2-year-old, Sofia. A native of Voronezh, Russia, pianist Alyona Aksyonova has pursued an accomplished and versatile career in the United States as an active a chamber musician, collaborative pianist, and educator since 2004. 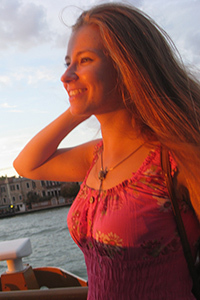 In New York City, Alyona served as a staff collaborative pianist for Mannes Prep Division, performed as a regular first-call pianist for the Listen Closely project in uptown Manhattan, and had opportunities to perform with top-tier professionals such as Todd Philips of the Orion String Quartet and acclaimed vocalist Denyce Graves. Now in Madison, Alyona has already built up a large private teaching studio, and works as collaborative pianist for the cello studio of Uri Vardi at the University of Wisconsin, Madison. 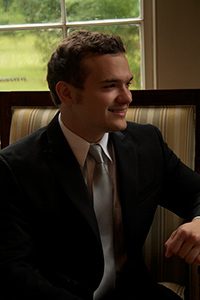 Festival engagements include collaborative artist for La Lingua Della Lirica vocal festival in Novafeltria, Italy and the Bolshoi Ballet Academy Summer Intensive in Middlebury, Connecticut, pianist for the CelloMania series at Highlands-Cashiers Chamber Music Festival, and piano faculty for the International Piano Festival in Portland, Maine. After several years of intensive training on the Russian dombra, a traditional folk instrument, Alyona began piano studies at the age of 10. She progressed unusually quickly, and was accepted a year later into the Special Music School for Gifted Students in Voronezh, where she studied with Irina Ovchinnikova and Anatoly Pogorelov. At 16, she won the Premiere Open Young Pianists Competition in Voronezh, and performed Rachmaninoff’s 1st concerto with the Voronezh State Symphony Orchestra. This successful performance resulted in an invitation for two additional appearances with this orchestra under the baton of British guest conductor Alexander Walker as a part of the orchestra's Scandinavian Music Festival, in which Ms. Aksyonova performed the Grieg Concerto. The orchestra also invited Alyona to participate as a soloist in The Young Talents of the 21st Century Concert, where she played a movement of Rachmaninoff’s 3rd concerto. Ms. Aksyonova's recognitions include rank of Finalist in the Third International Gnessin Piano Competition in Moscow and top prize in the Second Gavrilin Governor's International Competition for Young Musicians in Vologda, Russia. While in Vologda, Alyona received an invitation from pianist and competition judge Tamara Poddubnaya to participate in the First International Piano Festival in Portland, Maine. Her attendance in 2004 marked her first trip to the United States, and resulted in consequent invitations for the two summers following. Ms. Poddubnaya also invited Alyona to participate in the Fifth Peter de Grote Festival in Groningen, Holland. In the United States, Ms. Aksyonova's achievements include Top Prizes in solo and piano duo categories in the Long Island Conservatory/SUNY Old Westbury Music Competition. These awards resulted in a special performance on WQXR public radio. She also was awarded Top prize at the Morgan Park Talent Competition. Upon receiving her Bachelor of Music degree from Mannes College, Alyona was presented with the Newton Swift Piano Award for solo pianists who have also distinguished themselves as talented collaborative artists. Ms. Aksyonova performs in the Documentary Manuel De Falla: A Musical and Spiritual Journey, released under the SMH Music LLC label. She has performed in Weill Recital Hall at Carnegie Hall, Alice Tully Hall, Merkin Hall, Steinway Hall, The Russian, French and Polish Consulates in New York, The Jewish Historical Society in the West Village, The Harvard Club, the New York Ethical Culture Society, the Nassau County Museum of Art, at the Young Musicians' Forum in Schenectady, Madison Avenue Presbyterian Church's Music on Madison Series, Cathedral Artists Series in Columbia, SC; and Downtown Music At Grace in White Plains, NY; and the prestigious David G Whitcomb Foundation Summer Recital Series in Germantown, NY. Ms. Aksyonova is a recent graduate of Mannes College, where as a full merit scholarship recipient she received her Bachelor's and Master's degrees under the tutelage of Pavlina Dokovksa and Vladimir Feltsman. She has performed in master classes presented by Richard Goode, Eteri Andjaparidze, Alexander Slobodyanik, Robert Hamilton, Philip Kawin, Alexander Korsantia, Frank Glazier, Paul Komen, Vladimir Tropp. Alyona enjoys spending time with her husband James and 2-year-old daughter Sofia, and going on spontaneous adventures. Her passions include animals, traveling, teaching students of all ages, eating (with an emphasis on gelato), the ocean, and salsa dancing (“on two,” of course).